The eyes of the world were on America’s President and First Lady as they celebrated his second inauguration in January 2013. 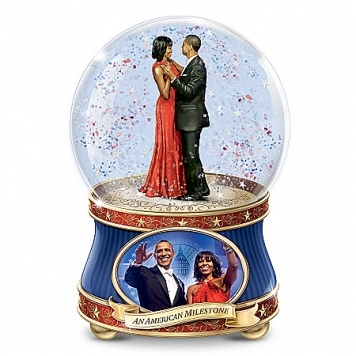 Now, you can treasure this historic event forever with the limited-edition Barack & Michelle Obama: An American Milestone Glitter Globe, exclusively from The Bradford Exchange. This patriotic-themed musical glitter globe showcases expertly handcrafted and hand-painted figures of the President and First Lady inside a crystal-clear glass globe.With a turn of the key, the couple spins inside the glass water globe to the tune “The Star-Spangled Banner.” Lavished with 22K gold filigree, the patriotic Heirloom Porcelain® base features an inaugural portrait of the couple with an inspiring title banner that reads “An American Milestone.” With a gentle shake silver stars and red, white and blue glitter swirl around the “dancing” couple, adding to the celebratory scene inside this Barack Obama collectible tribute. 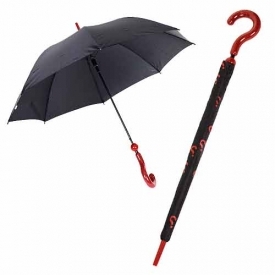 Strong demand is expected. Order now!